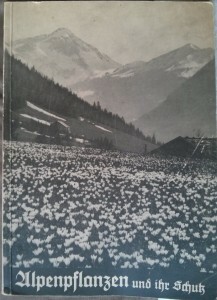 Alpenpflanzen und ihr Schutz (Alpine Plants and their Protection) from 1939 is about some of the most beloved and endangered Alpine landscapes and plant species and efforts to preserve them. It describes how, starting in the 1920s, laws were passed, and environmental organizations raised awareness, to protect plant species that were becoming endangered due to commercial and amateur collecting and hikers’ foot traffic. 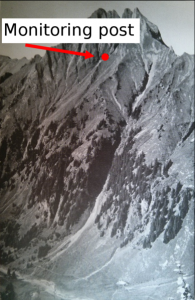 When the laws weren’t enforced, the organizations partnered with a mountain-rescue organization which had observation posts on mountaintops in climbing areas to watch for accidents, and got them to also act as plant-poaching monitors. In the U.S., the history of the environmental movement customarily focuses on birds and large animals, and on milestones such as Theodore Roosevelt’s efforts and the founding of the Audubon Society around the turn of the century. 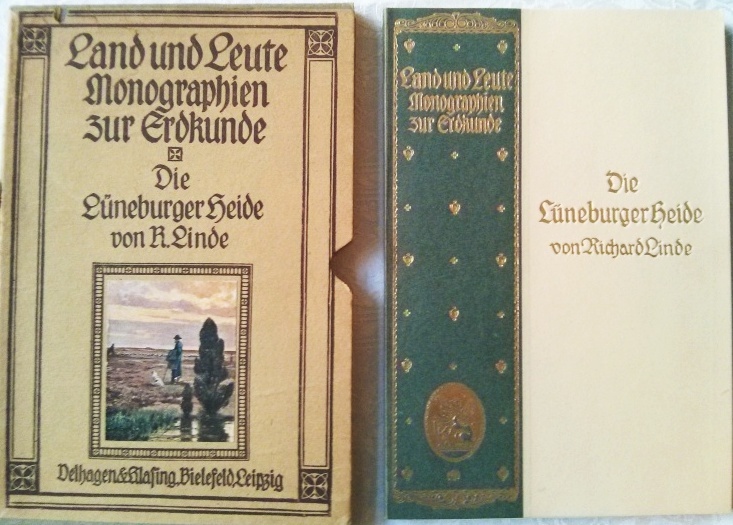 Whether there was widespread popular interest in endangered plants before WWII, including lavish yet serious books for popular audiences, I’m honestly not sure. 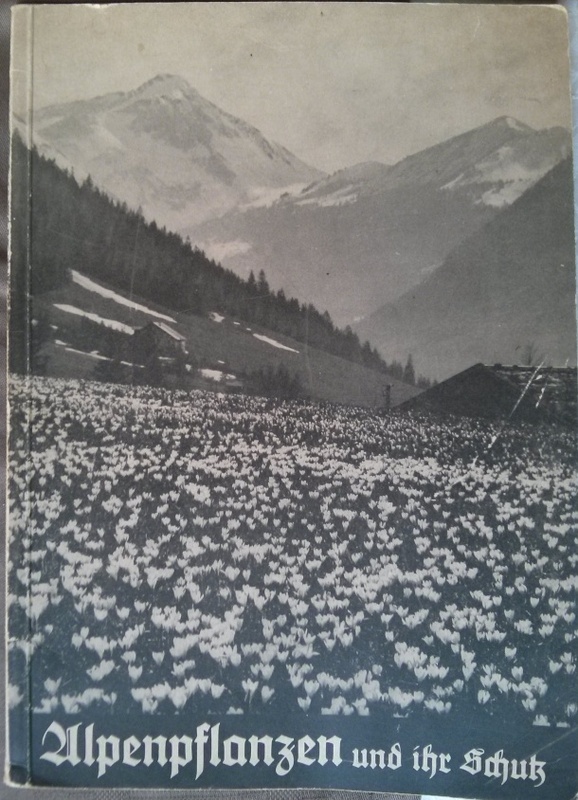 Also fascinating in Alpenpflanzen is the discussion of how the plant populations recovered during WWI because tourism and the plant trade were sharply reduced, and then they declined again after the war. In ecology this is now called a ‘natural experiment’, where natural conditions create a sort of experiment that would be impossible for scientists to conduct due to size and cost. Again, this is pretty sophisticated for a popular publication in 1939. 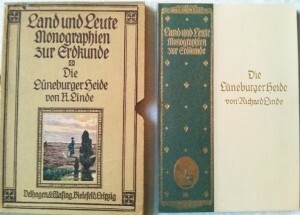 The second book is Die Lüneburger Heide (Lüneburg Heath) from 1921, in the series Land und Leute – Monographien zur Erdkunde (Land and People – Geography Monographs). Lüneburg Heath is one of the few remaining areas of this landscape type that was once widespread. 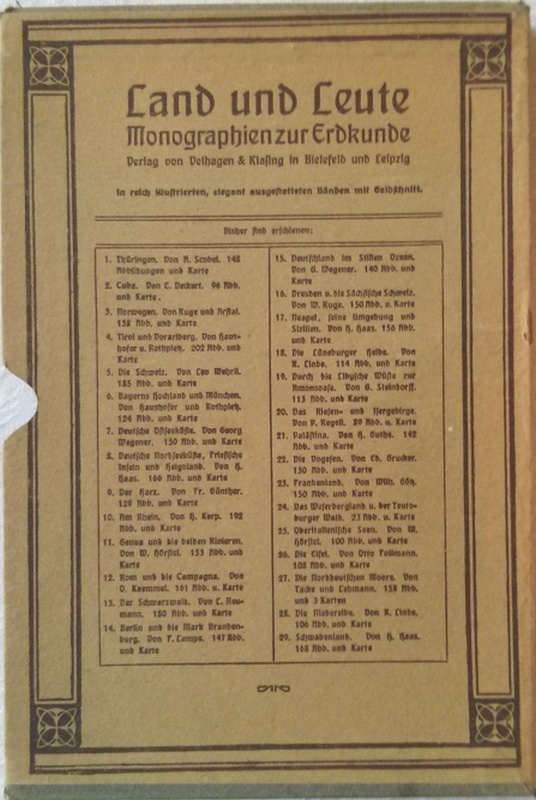 The book focuses on the flora, fauna, land use, geology, topography and climate but also includes history, human geography, folklore and agriculture – a holistic, integrative assemblage that in the anglophonic scholarly world only appeared in the 1980s under the rubric ‘interdisciplinary’. 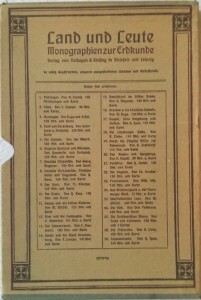 The series has 29 volumes on different regions. Soon, through the 1920s, the appreciation of local nature and cultural traditions would mutate into grotesque nationalistic hysteria leading to fascism – or perhaps the seeds were always there, lying dormant – forever complicating the topic of local attachments, and arguably contributing to the anti-local globalization backlash of the neoliberal era.